[PDF] Encyclopedia of Agriculture and Food Systems, Second Edition (5 volume set) | Free eBooks Download - EBOOKEE! 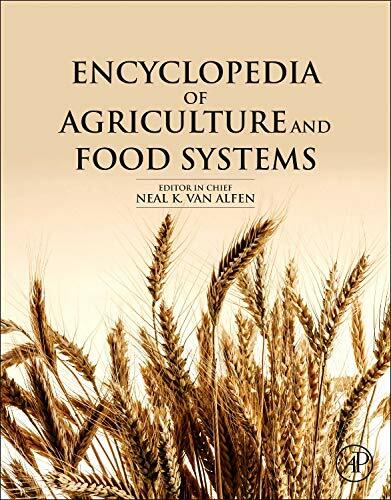 Description: Encyclopedia of Agriculture and Food Systems, Second Edition addresses important issues by examining topics of global agriculture and food systems that are key to understanding the challenges we face. Questions it addresses include: Will we be able to produce enough food to meet the increasing dietary needs and wants of the additional two billion people expected to inhabit our planet by 2050? Will we be able to meet the need for so much more food while simultaneously reducing adverse environmental effects of today s agriculture practices? Will we be able to produce the additional food using less land and water than we use now? These are among the most important challenges that face our planet in the coming decades. The broad themes of food systems and people, agriculture and the environment, the science of agriculture, agricultural products, and agricultural production systems are covered in more than 200 separate chapters of this work. The book provides information that serves as the foundation for discussion of the food and environment challenges of the world. An international group of highly respected authors addresses these issues from a global perspective and provides the background, references, and linkages for further exploration of each of topics of this comprehensive work. No comments for "[PDF] Encyclopedia of Agriculture and Food Systems, Second Edition (5 volume set)".